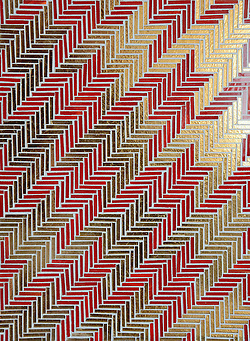 Thank you to Interior Design Magazine for including the new Houndstooth jewel glass mosaic by Sara Baldwin for New Ravenna! To connect with Interior Design on Facebook, click here. 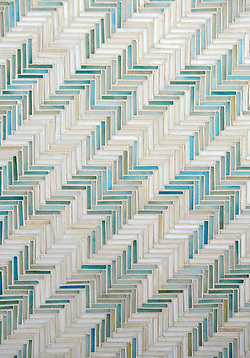 Houndstooth, a hand cut jewel glass mosaic shown in Aquamarine and Quartz, is part of the Houndstooth Collection by Sara Baldwin for New Ravenna Mosaics. 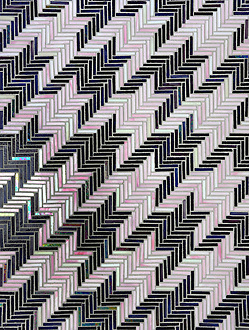 Houndstooth, a hand cut jewel glass mosaic shown in Amethyst and Rose Quartz, is part of the Houndstooth Collection by Sara Baldwin for New Ravenna Mosaics. To see more Houndstooth, click here.